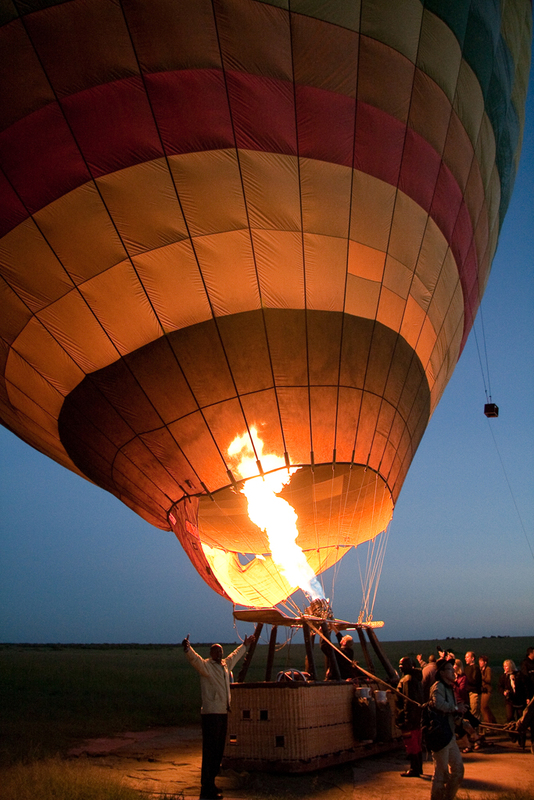 While at the Masai Mara we had the opportunity for a hot air balloon ride. Granted, it was not cheap, but how often do you have the chance to do that?! Just about everyone else felt the same way, so very early (before sunrise) one morning we headed out to the launching site. Once we arrived there, we received a briefing from our pilot and then they started to inflate the balloon. Before long we were ready to board. Really, the time to do this is during the great migration, when you are able to observe large herds of animals. This time of year the herds of zebra and wildebeest are in Tanzania, so there was only the occasional wildlife. But the landscape was incredible! 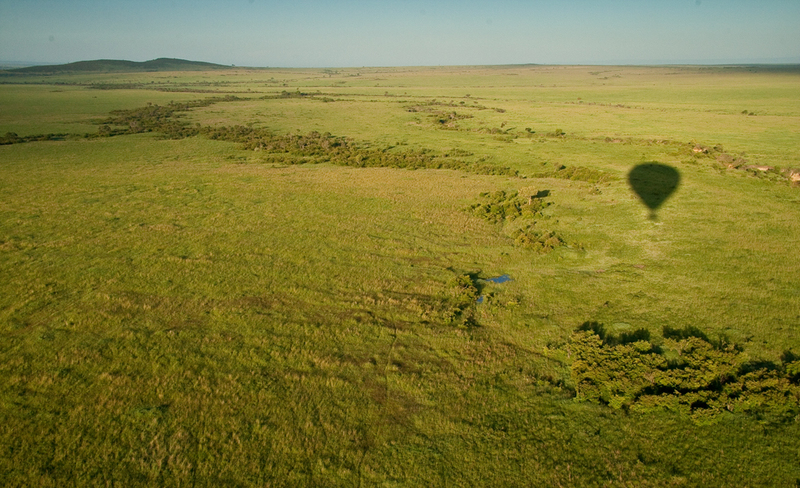 From the balloon you really were able to experience the vastness of the Masai Mara. There were wonderful peaceful moments, when nobody spoke a word, and we were quietly floating along at the mercy of the wind. It was over much to soon. So – would I do it again? Absolutely! Even so we had been hoping to see more wildlife, it was still an incredible experience. The balloon shot is my favourite also. Everything just came together right. Just love the balloon shot Beat. Did you take any close up of the pilot and burners durin the flight? Thank you. I tried to get one of the pilot, but someone’s head always seemed to be in the way. I was in the corner of the basket, the furthest away. The basket has 4 compartments, each holding 4 people. That’s tight! There is no room to move around.